It’s National Apprenticeship Week and what better way to celebrate than with a cheeky bonus episode of Absolute Clarity! We’ve invited four guests into the studio to tell us all about apprenticeships at Clarity and why we’ve invested so much into the future of our people. Joining our host, Kyle Daniels, in the studio today are; Nicky Duffy, National Operations Manager, Neil Wainwright-Farrar, Learning and Development Manager and two Junior Business Travel Consultants in Sydney Howard and Josh Smith, both awards nominated apprentices who have excelled at Clarity over the years. From pay to performance, we go behind the scenes of Clarity’s apprenticeship programme, sharing stories and life lessons aimed at informing the next generation of apprentices. We then debut a new final segment fit for future career planning, you don’t want to miss it! Today’s episode is brought to you by our Hearts and Minds manifesto, download your copy today - www.claritybusinesstravel.com/hearts-and-minds Don’t forget you can join the conversation on Twitter by following @Clarity_BT and using the hashtags #AbsoluteClarity #HeartsMind #NAW2019 You can also email your comments, questions and concerns to podcast@claritybt.com Please like, share, rate and subscribe to us using your podcast player of choice. 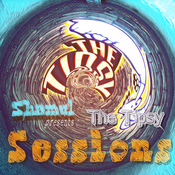 S2Ep14: Why do you need a TMC? What happens when you combine two travel management companies who couldn’t be more different? How do you integrate staff, systems and cultures to ensure a smooth transition? And why should you use that TMC going forward? We answer all that and more in the season finale of Absolute Clarity season 2! Today’s episode is brought to you by our Hearts and Minds manifesto, download your copy today - www.claritybusinesstravel.com/hearts-and-minds On today’s show, Kyle welcomes a couple of familiar faces into the studio, Clarity CEO Pat McDonagh and Director of Sales and Account Management Paul Casement, to talk about the history of Clarity from the days of Co-op Travel to the Portman Merger. We discuss the importance of culture when growing an award winning business and why technology is playing such a significant part in 2019 and beyond. With the stage set, we then ask the hard-hitting question, why does your business need a TMC? We leave behind the standard answers littering tenders worldwide to get to the true benefit businesses can expect when finding a travel management company to partner with. We then change things up by dropping the first, best and worst travel segment in favour of discovering Pat and Paul’s dream clients. You won’t believe who they pick! Don’t forget you can join the conversation on Twitter by following @Clarity_BT and using the hashtags #AbsoluteClarity #HeartsMind You can also email your comments, questions and concerns to podcast@claritybt.com Please like, share, rate and subscribe to us using your podcast player of choice. Thank you for joining us on this incredible journey over the past two seasons. 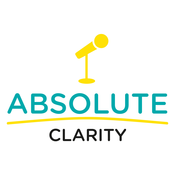 Absolute Clarity will be back but, in the meantime, you can always listen to previous episodes in the series or stay tuned for our National Apprenticeship Week bonus episode airing Monday 4th March 2019! What do Harry Redknapp, Raheem Sterling and Lancashire County Cricket Club have in common? They’re all featured on the latest episode of the number one travel management podcast, Absolute Clarity! Today’s episode is brought to you by our Hearts and Minds manifesto, download your copy today - www.claritybusinesstravel.com/hearts-and-minds On today’s show, Kyle welcomes Fraser Thompson, Dionne Bentley and Rob Slawson, Head of Thomas Cook Sport to discuss everyone's second favourite transfer window! Whether booking last minute flights to scout the next big talent, joining a premier league club on their preseason tour of the United States, or another club swooping in on that star transfer target mid flight, there’s never a dull moment for Thomas Cook Sport and Clarity Sports. We go behind the scenes on what it’s like to meet your heroes, why the media often gets it wrong and which sporting stars clean up after themselves! We also hear our guests first, best and worst travel scenarios in our popular final segment. Don’t forget you can join the conversation on Twitter by following @Clarity_BT and using the hashtags #AbsoluteClarity #HeartsMind #ThomasCookSport You can also email your comments, questions and concerns to podcast@claritybt.com Please like, share, rate and subscribe to us using your podcast player of choice. S2Ep12: If your names not down, you're not coming in! What do the Queen, Ed Sheeran and finding Nemo have in common? They’re all featured on the latest episode of the number one travel management podcast, Absolute Clarity! Today’s episode is brought to you by our Hearts and Minds manifesto, download your copy today - www.claritybusinesstravel.com/hearts-and-minds On today’s show, Kyle welcomes Paul Casement, Claire Conboy and Steve Rowe to the studio to give us the lowdown on Clarity Events. Whether they’re planning a conference for 3,000, ensuring one of Britain’s favourite bands are silky smooth before a performance or putting on a festival worthy of the queen, our guests are experts in making sure the show goes on. We get a behind the scenes look at the rollercoaster world of event planning and why you shouldn’t judge a popstar by their appearance! We also bring back the popular first, best and worst travel segment to discover whose nickname is Nemo, why electrics and water don’t mix and the dangers of watching football in Russia! You don’t want to miss this! Don’t forget you can join the conversation on Twitter by following @Clarity_BT and using the hashtags #AbsoluteClarity #HeartsMind #ClarityEvents You can also email your comments, questions and concerns to podcast@claritybt.com Please like, share, rate and subscribe to us using your podcast player of choice. S2Ep11: What's coming in 2019? What do Brexit, NDC and Northern Rail have in common? They’re all things that will change the travel landscape in 2019. Welcome to episode 11 of Absolute Clarity season 2! The number one travel management podcast brought to you by Clarity, the business travel experts! Today’s show is brought to you by our Hearts and Minds manifesto, download your copy today - www.claritybusinesstravel.com/hearts-and-minds We’re back! After a holiday hiatus, Kyle is joined in the studio by a trio of Clarity directors including CEO Pat McDonagh, Commercial Director Sue Chapman and Operations Director Steve Riley to discuss the hot travel topics of 2019. From the fallout of Brexit to the emergence of NDC adoption, the travel landscape will be forever changed in 2019, but will it be for the better? Our guests give their opinion on the biggest stories and how Clarity are adapting to the changes with a plethora of new products aimed at improving the customer experience. We then find out what changes our guests are most looking forward to in 2019. Don’t forget you can join the conversation on Twitter by following @Clarity_BT and using the hashtags #AbsoluteClarity #HeartsMind You can also email your comments, questions and concerns to podcast@claritybt.com Please like, share, rate and subscribe to us using your podcast player of choice.